Pete Olson, founder of PJ Builders, is a man of form, function, and craft. Having studied civil engineering and gained a passion for carpentry, he adds a level of forethought and realism to the logistical navigation associated with general contracting. He’s made a name for himself through his renovations in Old Town, where space and regulatory limitations have led professionals to compare building in the area to building in Manhattan. 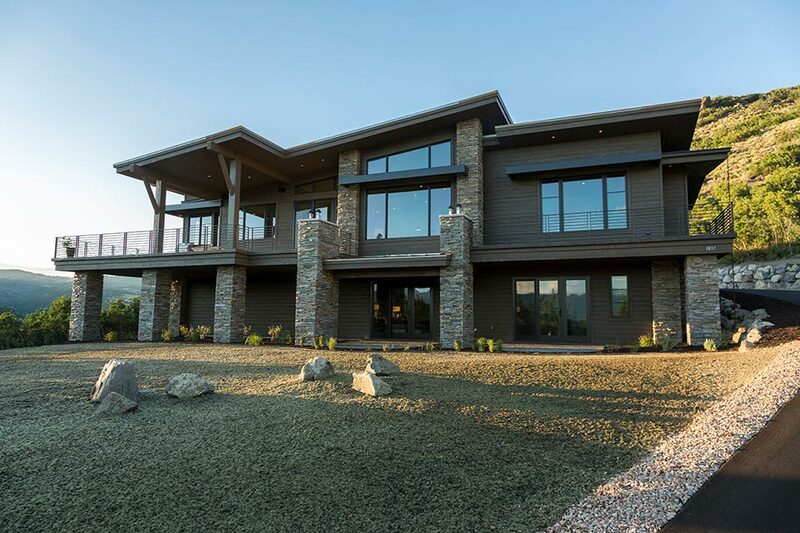 Additionally, after successfully facing those challenges for years, Olson’s craft and demand for quality shows effortlessly in his new-home builds. “I’ve always liked working with my hands,” says Olson, who moved to Utah in 1992 and fell in love with the area that same ski season. He began his career working for high-end contractors in neighborhoods like Bald Eagle, Deer Crest, and the Colony. “I learned what it meant to be a top-quality builder, and I bring those skills to all of our projects today, large or small,” he says. Left: 1.) Before: The Southern Charm home, lifted for rebuilding. 2.-4.) 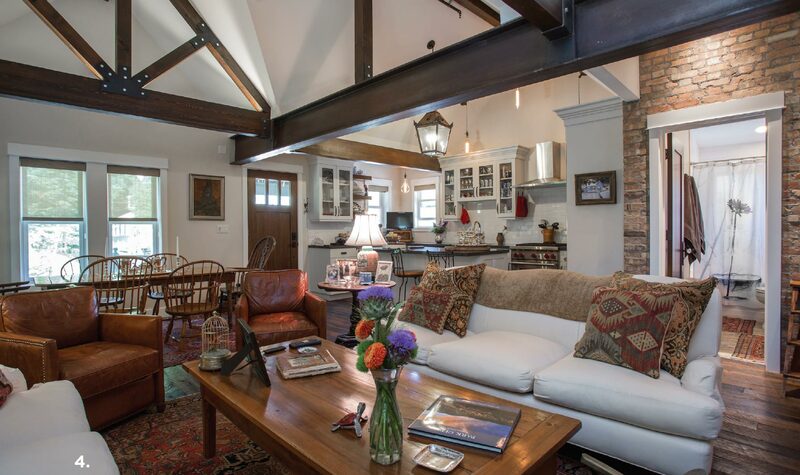 After: The Southern Charm home, finished and ready for comfortable living. One such large project, an update of a 100-year-old home in Old Town, called for the problem-solving skills of an engineer, the logistical sense of a mathematician, and the design talents of a carpenter. 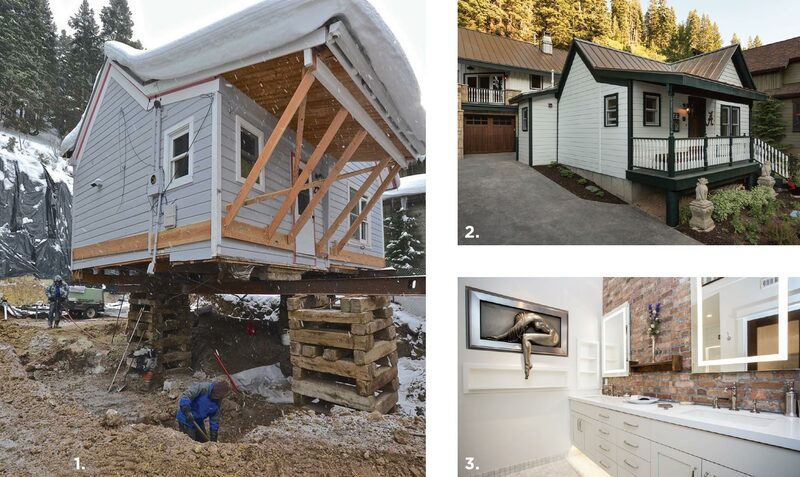 During a process that involved gutting, reframing, and adding a new foundation (which, notably, required stilts), Olson and his team turned a ski bum “slanty shanty” into a classic, spacious abode draped in Southern charm. The final product included a newly opened ceiling plan, trusses hand made on site, exposed steel beams, and wall-less living spaces to make the building light and bright. In new-home construction, the crew at PJ Builders is proud of their ability to create functional, craft homes, with no headaches. “Most of our clients don’t currently live in Park City, so it’s part of my job to work well from a distance. We’re good at sending progress photos, keeping them in the loop, and making sure that they’re involved in every decision-making process,” says Olson. In the Second Wind West home, no details go unnoticed. 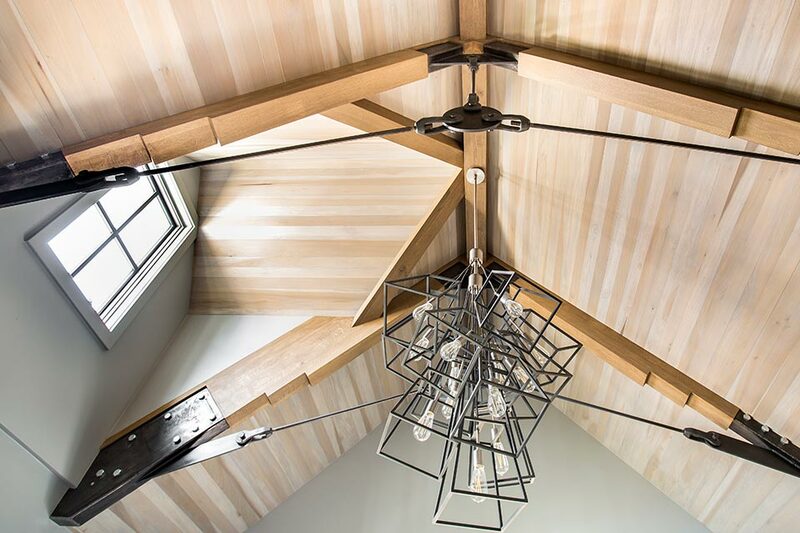 Blond wood and carefully crafted trusses open up the space to allow guests to breathe in and experience the effect of intricate design. After a career of practical problem-solving and producing beautiful final products, Olson loves the opportunity to build from scratch. He looks forward to continuing to innovate, team-build, and construct in the amazing place that he, too, calls home. For more information, call 435.649.7345 or visit pjbuilders.com.